The Economic Development division is devoted to elevating Doral as a world-class international and domestic destination for trade and commerce. Under the direction of the City Manager, the Economic Development division plans, organizes, and implements an economic development program to promote the growth and development of the City’s economic base. This division assists in the retention and expansion of existing businesses, builds relationships with business and government, and vigorously seeks out new businesses for the City. 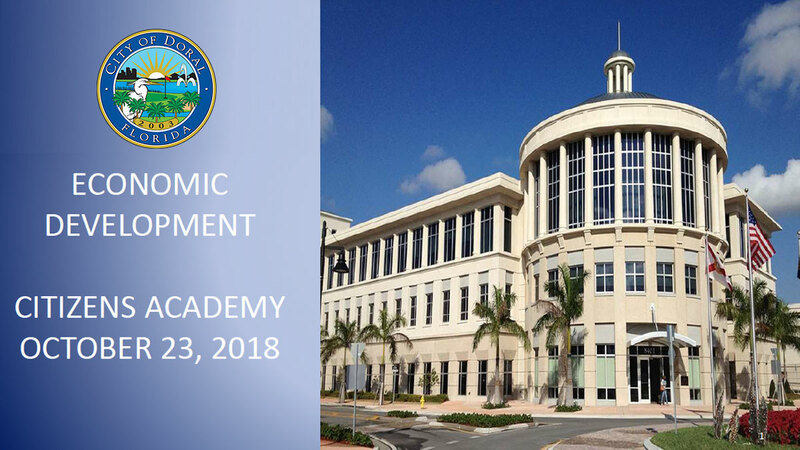 The Economic Development division oversees Doral’s Sister Cities program, produces business development activities, promotes entrepreneurial education and administers the City’s grants programs.